I will guide you to the very end, for I will be your God. No matter what we go through in life, God promises to be our God forever and ever. Even if everyone else abandons us on our journey, there is One who has promised to be with us to the very end of our life in this world as we know it. In Matthew 28:20, Jesus promises His disciples that He would be with them always, even to the end of the age. Though at times we don't feel His nearness, God is always close to us. 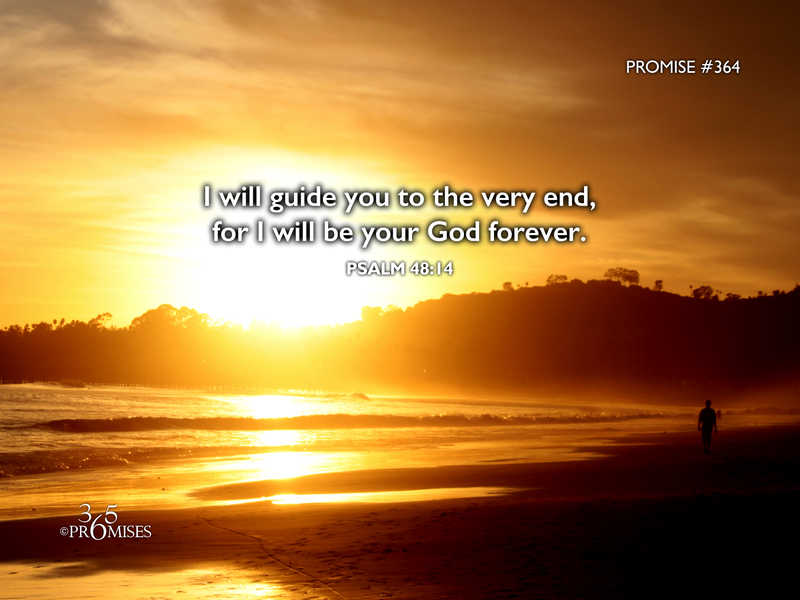 May the reality of this promise go deep into our hearts today. We are not alone. We will never be alone. If we have accepted the free gift of Jesus Christ into our heart, then we are the dwelling place of God the Father, God the Son and God the Holy Spirit... forever and ever. He will be our guide to the very end!